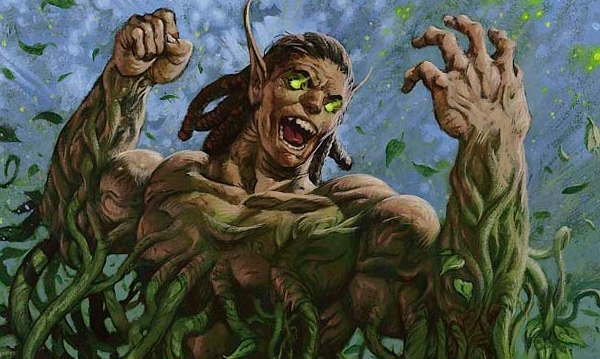 With Avatar of the Resolute now available on Magic Online, I took a renewed Stompy list to the daily queue this week to test the deck’s mettle. Below is what I ran. The sideboard is pretty much what I mentioned last time, except I’ve included extra Aspect of Hydra. As I mention in the video below, I’d love to have these main as it’s our most busted card, but there just doesn’t seem to be room. So, we stick some in the board for matches where we don’t need Ooze or Prey Upon, and/or where it’s paramount we race or go over the top of our opponent. The matches are a lively assortment: Mardu Tokens, Merfolk, Jeskai Midrange, and Living End. See below for how they went. I apologize in advance if the volume is too low; this will be fixed in future videos. Very encouraging results overall, especially the Living End match (any aggro deck that can fight through that deck is a good one in my book). What do you think of Feed the Clan instead of Kitchen Finks? It puts less pressure on your curve (Finks is awesome, but 3 land isn’t always a thing Stompy can spare), and I found it to be quite handy whenever I was in a straight-up race (such as vs. burn). Also, would the instant speed of Pit Fight make it worth considering over Prey Upon? I’ve never had a problem with casting 3cmc stuff. Feed seems pretty solid, but we prefer to swap non-creature spells for non-creature spells, and all of ours are good vs Burn, so that’s why I haven’t used it. I’m open to ideas, though. I suppose we could just say to hell with it and take out Oozes for them; a lack of threats isn’t going to be a problem vs Burn like it is with other decks with lots of removal. One advantage Finks has over Feed is even if it’s hurt by Command or Skullcrack, you still get a body, which will be very relevant sometimes. 2cmc AND the fight mechanic is probably too much, but maybe not. I usually haven’t found a huge need for instant speed removal, but I suppose it depends on the meta. If I’m dying for instant speed removal, Dismember might just be better; it’s important we have as much mana open as possible at all times. In a word: maybe. I’ve just started fiddling with this deck a bit – what do you think about a maindecked sword or two? I’m trying out fire and ice but could see light and shadow maybe (although it nonbos a bit with oozing our graveyard away). We’ve got rancor to squeak damage in for the triggers (and the avatars) and many of the bodies are just hard to kill or provide value if the opponent tries (exp 1, strangleroot). I always loved getting a hasted bloodghast onto an empty board and swording it up – you have the same potential with geist. You could topdeck it, or if they blast it in resp to the equip it returns with undying (still haste) and with 2 mana you can equip it and still get your swing on. And that’s not even counting using vines of vastwood to get the sword attached! Too expensive/cute? I felt like I wanted one CA-generating card (garruk, harmonize, bow, etc).